Our corporate culture is simple: we insist on accounting for excellence. For 60 years, our reputation has been burnished by the dedication of our people and our continuing effort to stay ahead of changing business practices and their resulting tech curve. Accounting for excellence is how we work. This is how we address our clients’ tasks. This is the attitude we bring to all projects. This is the watchword we use when hiring our staff. This is where we make our reputation and this is what matters most to our clients as well as being a sense of pride for ourselves. At the end of the day, we must be able to say that we did all that we could to account for excellence. Our expertise ranges across a wide spectrum of business. We relish that diversity as it keeps our insights fresh for application to all clients. (If you don’t see your business here, call us. We’re already interested.) Our computers are equipped with the sharpest pencils in the industry. Us. Because while our tech savvy is second to none, we know that a software understanding of a problem is no match to personal stewardship, to our own understanding. Ron A. 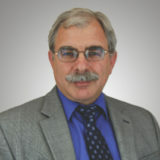 Levy, CPA has over 40 years of public accounting experience. 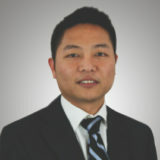 Ron is currently the managing partner in our Santa Maria office. He has a Bachelor of Science degree from Oregon State University. 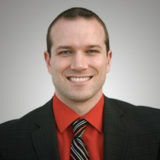 Adam Guise, CPA is a partner in our Santa Maria office. Adam has 10 years of public accounting experience. 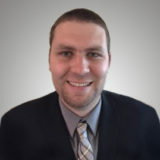 He has a Bachelor of Science degree in Business Administration with concentrations in accounting and financial management from Cal Poly, San Luis Obispo. 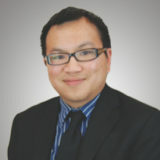 Alexander C. Hom, CPA, is a partner in our Santa Maria office. Alexander has 8 years of public accounting experience. He has a Bachelor of Science degree from California Polytechnic State University- San Luis Obispo. It’s very easy now to conduct business electronically. But, electronically, it’s very difficult to conduct it in a personal manner that can reveal your needs more clearly…with a smile, a handshake, a cup of coffee. We have three offices in California, even so, if you’re happily in the back of beyond, we’ll come and see you, see your needs and see to your solutions. “See” not “Send” is the operative action word here. 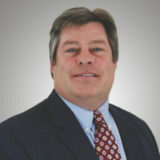 Moss, Levy & Hartzheim begins accounting for excellence with our extensive search for exceptional and excellent people. We look for a solid work ethic, commitment, and eagerness for challenges. We treat them well. They like belonging here. They like their clients.